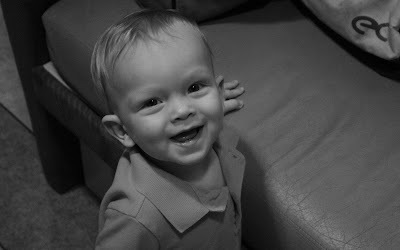 My son is turning One in just a couple of weeks. I just can't believe it. This year has gone by so fast and he has learned and grown so much! I really do just adore him! We look forward to celebrating his birthday with you guys! Yay for first birthdays!!! i love this picture :) he's so stinkin' cute!! Thanks Kim! I am glad ya'll will be there to celebrate it with us.